Pocatello, Idaho is known as the U.S. Smile Capital thanks to a 1948 ordinance that made it illegal not to smile in Pocatello. While the law was a tongue-in-cheek comment on an exceptionally severe winter, it remains on the books, and the following are just some of the activities that are available in Pocatello that will help keep every visitor smiling! 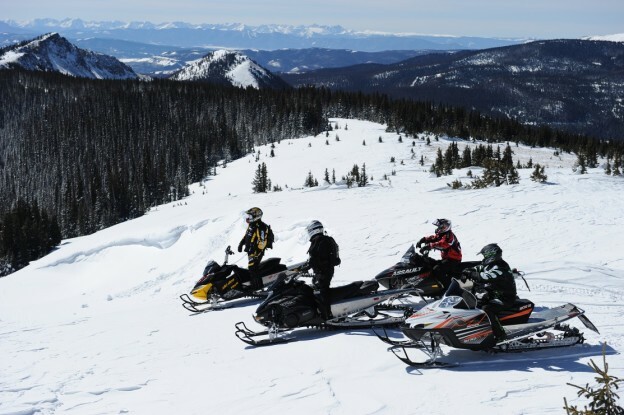 Snowmobile trails put Pocatello on the maps. And while it may not be on the typical list of vacation ideas, snowmobiling is a fun, easy way to explore new country. The looming mountains and ice-frosted pine trees are perfect scenery for new or seasoned riders. Here’s a list of trail descriptions near Pocatello, including several trails that are less than 20 minutes from the city. 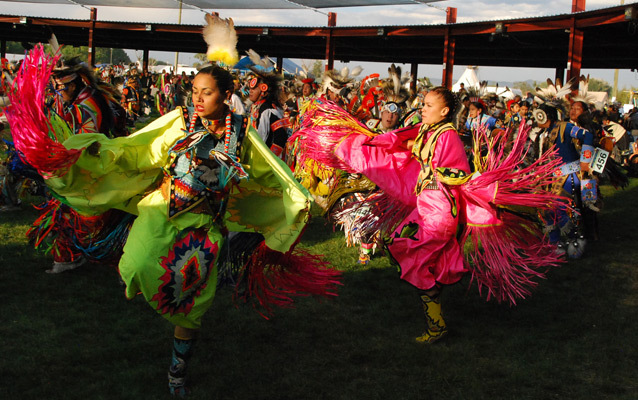 Just a few miles north of Pocatello, the Fort Hall Indian Reservation provides a rich cultural experience. Native American culture is beautifully depicted here each August in the Shoshone-Bannock Festival. This year, the 52nd Annual festival will be held Aug. 6-9 at the Fort Hall Pow Wow Grounds. Typically, the festival draws more than 2,500 dancers who arrive from all over North America. The dancing. The drums. The crafted bead-work. The comradery. It’s a unique experience that is incredible to be a part of and to celebrate. 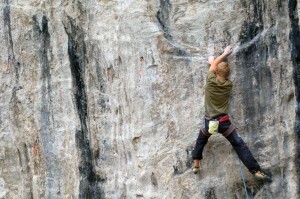 Pocatello also hosts what it calls America’s oldest and most fun rock climbing competition, the Pocatello Pump. 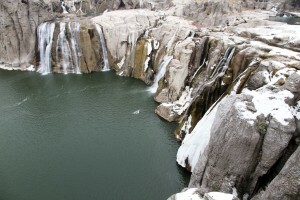 The event is coordinated by Idaho State University and raises money for scholarships to the university and for a national, non-profit rock climbing organization, Access Fund. 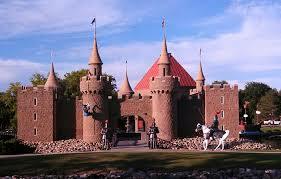 This year, the event will be held Sept. 19-20 at the basalt crags of Ross Park’s Sunny Side and Shady Side. Besides the competition, visitors can enjoy spectacular climbing throughout the year thanks to basalt and limestone conglomerate climbs that are only five minutes from downtown. Along with all of the great things to do within Pocatello itself, there are several nearby destinations that visitors will want to explore while in the area. Yellowstone and Grand Teton National Parks are just a short drive from Pocatello, and world-recognized ski resorts such as Sun Valley, Idaho and Jackson Hole, Wyoming are nearby, too. There’s no time like the present to book a trip! 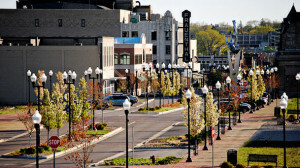 Daily, Delta Connection flights, operated by SkyWest Airlines, are available between Pocatello Regional Airport (PIH) and Salt Lake City (SLC) year-round. The best fares can be found at delta.com. 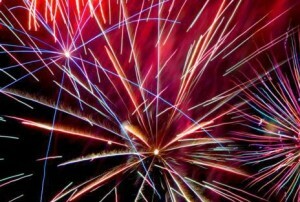 Six Cities for Unique Fourth of July Fun! The Fourth of July is here and those looking for something outside the Metropolis (or outside the normal) should think about heading to one of these six cities for the holiday. With fun traditions and a break from the bustle, here are some interesting options to celebrate the Fourth of July! Alpena is home to just over 10,000 people in northern Michigan, but that doesn’t stop them from having a great Fourth of July celebration! 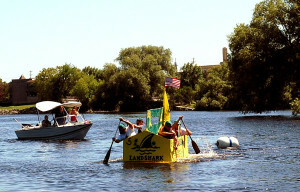 Some of the unique activities these Michiganders take part in each year include a sandcastle building contest, a rubber ducky race and a cardboard boat regatta. The town also boasts great waterfront fireworks. Rock Springs claims to have Wyoming’s largest firework display to end its festivities, but there are plenty of other events during the day that will make for an unforgettable celebration, including a 4-on-4 mud volleyball tournament. Plus “Wyoming’s Big Show” festival moves into town bringing a carnival and fair events that are the largest in Western Wyoming. 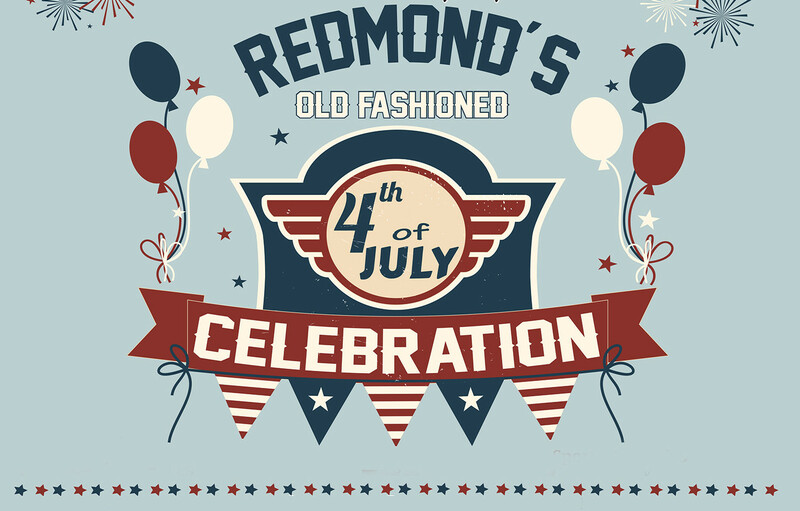 Redmond boasts a full-fledged traditional Fourth of July, from their “Baseball, Hot Dogs & Apple Pie” parade to the “Old Fashioned 4th of July Celebration.” Events include pony rides, train rides, bouncy houses, archery, petting zoo, a water obstacle course and more! 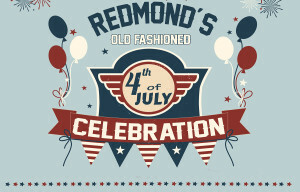 Redmond knows how to plan a holiday for old-timey fun for the whole family. For something a little more off-beat this Fourth of July, check out Elko, Nevada’s annual Basque Festival. The event is held over the Fourth of July weekend and in correspondence with their Independence Day festivities. The town celebrates with Basque dancing, Basque sport exhibitions like weightlifting and wood chopping, and plenty of Basque food! 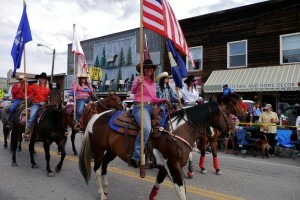 In this town on the doorsteps of Yellowstone National Park, the Fourth of July is a Wild West Adventure. Throughout the weekend the town is hosting the Wild West Yellowstone Rodeo, which provides entertainment throughout the day. 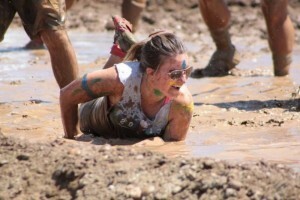 They also have a Buffalo Chip Chuck, where participants have the chance to fling buffalo poop…competitively. 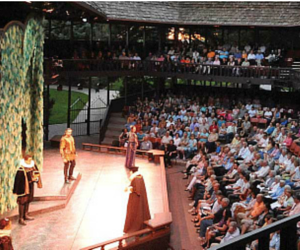 Eau Claire brings folktale heroes and old fashion fun to their Fourth of July celebration. 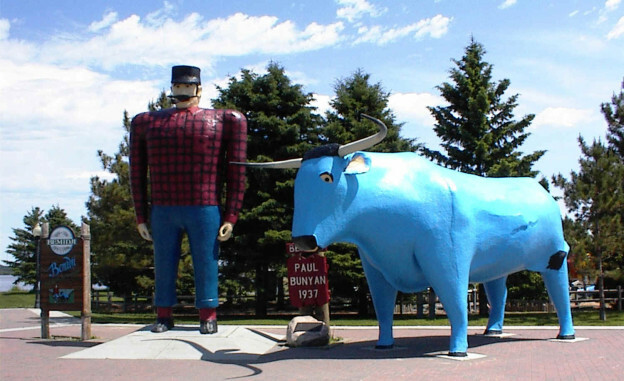 On the Fourth of July, visitors can attend “Paul Bunyan Camp” to step back in time. There are also “Old-Fashioned Family 4th” events throughout the town which includes train rides, football and baseball games, fireworks and more. 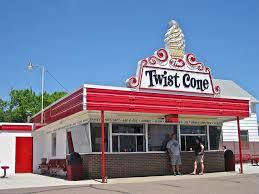 Plus Eau Claire hosts the Chippewa Valley Air Show over the holiday! 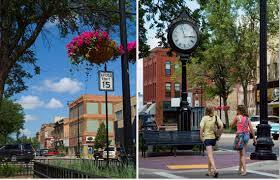 Meet a Famous Duo and Enjoy the Outdoors in Bemidji, MN! It’s nearly impossible to travel through the northern, woodsy town of Bemidji, Minnesota without noticing the giant statues of legendary lumberjack Paul Bunyan and his sidekick, Babe the Blue Ox! The famed statues were built in 1937 to celebrate the logging industry and still sit near the shore of Lake Bemidji, welcoming everyone who comes to visit. And thanks to everyone who has stopped to take a picture with the dynamic duo, the statues have become known as the second-most photographed icon in the nation. 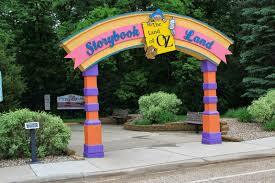 After visiting Paul Bunyan and Babe, a number of other outdoor attractions and recreation await. 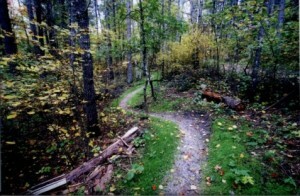 Five miles north of Bemidji lies Movil Maze, a 913-acre recreational area with over 14 kilometers of intermediate and expert trails that are open year-round. Trails are groomed and maintained to create the finest experience for those enjoying downhill skiing, snowmobiling, cross-country skiing, horseback riding, running, sightseeing or mountain biking. Be on the lookout for whitetail deer, bald eagles and black bears. 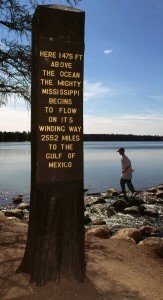 Minnesota’s oldest state park, Itasca State Park, encompasses more than 32,000 acres with over 100 lakes, and the east entrance is only about 30 miles from Bemidji. 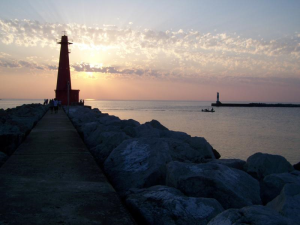 The park was established in 1891 as a way to preserve the area that surrounds the start of the Mississippi River as it begins its 2,552-mile journey toward the Gulf of Mexico. Being able to see the source of the mighty Mississippi River is part of what makes the park such a famous North American landmark. Visitors will enjoy the short hike to the river headwaters, where there are a number of informative displays, and a great lunch at the Headwaters Café. There are also opportunities for fishing and camping under the star-filled skies. Plus, Itasca is an excellent place for premier bird watching, with over 222 species recorded! Fly right into Bemidji (BJI) on a SkyWest Airlines flight, operating as Delta Connection. from Minneapolis/St. Paul (MSP). To find the best fares, head to delta.com. Once the largest city west of the Mississippi River between Chicago and San Francisco, Butte, Montana not only sits in the heart of Montana’s Big Sky Country, it also holds an important part in American history. 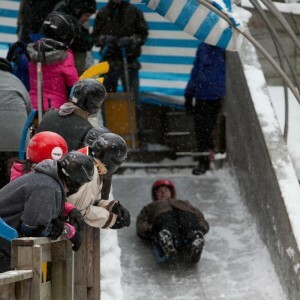 And while Butte offers a memorable past, it also provides plenty of fun and relaxation for visitors today. 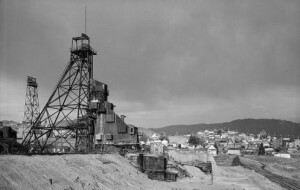 Founded as a gold and silver mining camp, Butte was at the center of the copper boom that resulted from the development of electricity and industrialization of America in the early 1900s. And a visit to the World Museum of Mining is a great way to get a unique look into Butte’s storied mining heritage. They even offer one of the most realistic underground mine tours in the world. Equipped with a hard hat, cap lamp and battery belts, visitors will venture 65 feet into the mine to get a first-hand look at life as a miner. 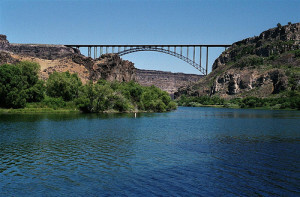 For those that prefer adventure above ground, Butte offers incredible outdoor activities as well. Enjoy a day of scenic and man-made beauty by visiting the Our Lady of the Rockies statue. 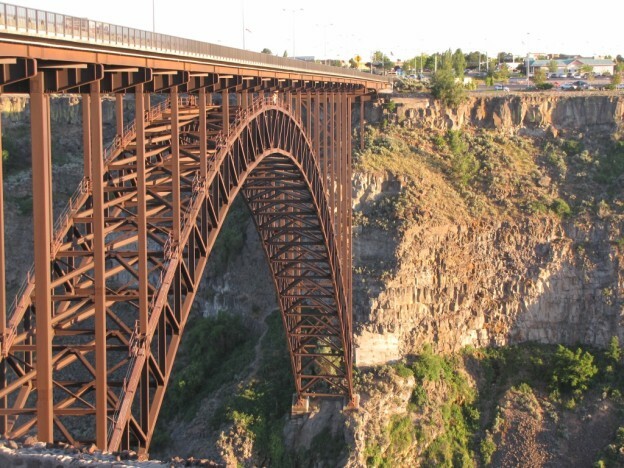 Summer tours are available for visitors to see this 90-foot marvel sitting atop the Continental Divide overlooking Butte. 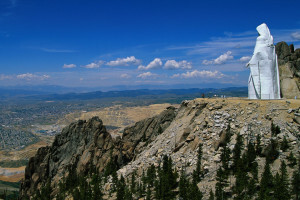 Second in size in the U.S. only to the Statue of Liberty, Our Lady of the Rockies is a must see when visiting Butte. 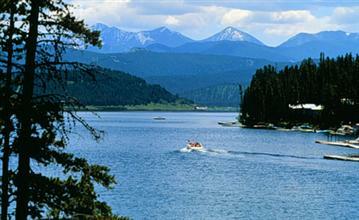 After the tour, head up to Georgetown Lake just 40 minutes outside of Butte. The lake is nestled in the shadows of the Anaconda Pintler Mountains and offers everything from recreation to relaxation. Fishermen should plan on bringing their bait and tackle as the lake is rated Montana’s most prolific and sees more fish caught per person than any other in the state. Georgetown Lake also makes for the perfect backdrop for nature hikes. 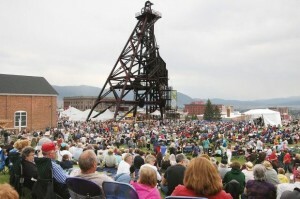 Summertime in Butte is the perfect time to enjoy a festival, the largest of which is the Montana Folk Festival. This outdoor music festival features some of the best traditional performers in the nation, ethnic and festival foods, a lively family area, and folk life demonstrations and workshops. The Folk Festival, along with the numerous other festivals in Butte, is sure to create a lifetime of memories for families visiting the area. And what’s a trip to big game country without great food? After a day of adventure and excitement, head over to Casagranda’s Steakhouse and Guido’s Bar in the historic Bertoglio Warehouse of Uptown Butte. Diners will be treated to a seasoned, hand cut, Rocky Mountain grown steak and a wide variety of specialty wines and beer in this historic Old West building ­– the perfect end to a day full of fun and adventure. Get started on an unforgettable visit to Big Sky Country by booking a convenient SkyWest flight, operating as Delta Connection, from Salt Lake City International Airport. The best fares can be found at Delta.com. Elko, Nevada: A Journey Back to the Wild West! This budding city may not be a major metropolis, but a rich history of Old West culture ensures Elko, Nevada has something of interest for everyone. Originally founded in 1869 as a cattle-ranching empire and railhead for the White Pine mines, the area has grown significantly. But the buckaroos who live there will attest that it hasn’t lost its historic charm. 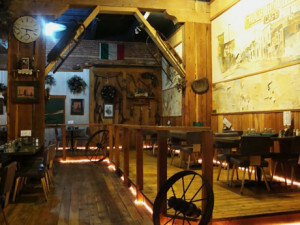 To really get a feel for what life was like in the Wild West, mosey on down to Elko’s Northeastern Nevada Museum. It’s recognized for the variety and quality of their exhibits. 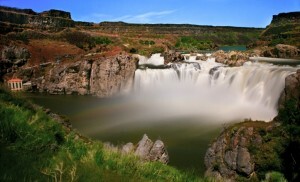 One of the most popular and visited exhibits statewide is an annual traveling show of Nevada photography. 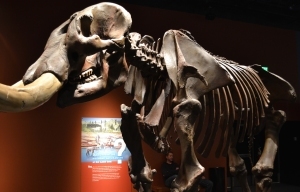 Currently on display is the American Mastodon exhibit. These rare, elephant-like fossils were actually found in the nearby city of Spring Creek! The museum also has a number of permanent exhibits, including a western saddle exhibit; a 1900s kitchen, school room and commercial printing press room; ranching, mining and railroad displays; a collection of Native American blankets and beadwork; and more. 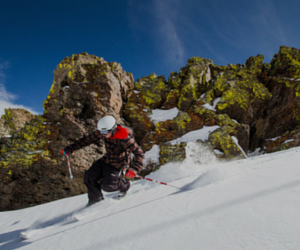 If experiencing Nevada’s natural Western beauty in on the agenda, there’s plenty of opportunity for that, too. The Ruby Mountains are considered one of America’s most beautiful mountain ranges, and they’re only a hop, skip and a jump away. 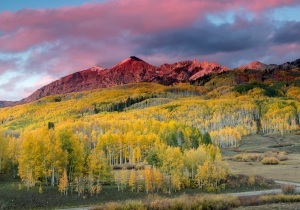 Hike along endless miles of trails, and past roaring waterfalls and blazing wildflowers. 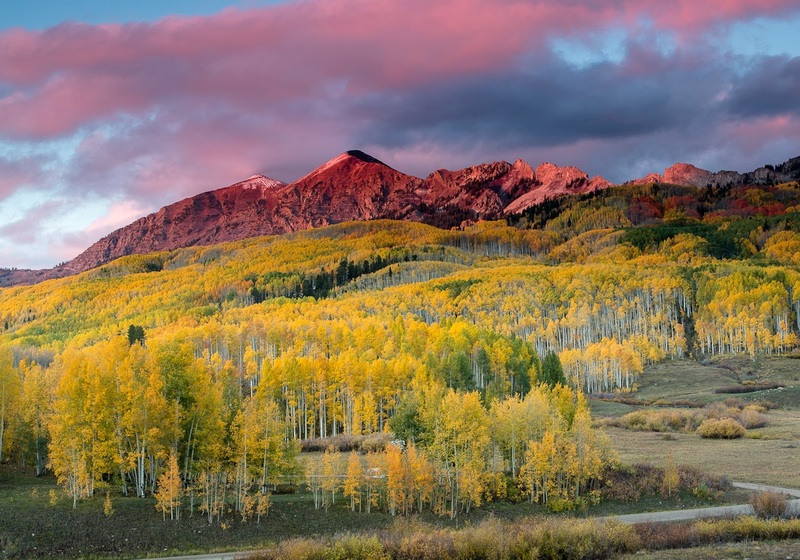 For a less strenuous outdoor excursion, take a drive along the 12-mile Lamoille Canyon Scenic byway and see why the area is known as the “Grand Canyon” of Nevada. 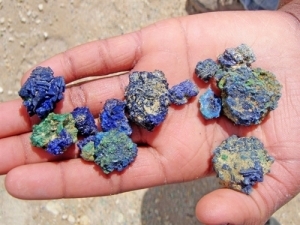 Visitors can also take a free tour of the local gold mines. But be sure to wear long pants and sturdy shoes; sandals, shorts and tank tops aren’t allowed on site. Mining has been an integral part of Nevada’s history for centuries. In fact, Northern Nevada is the country’s largest gold producer. 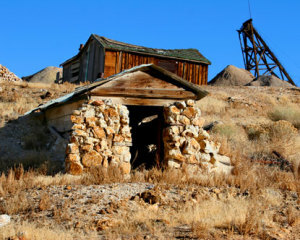 Though the mines are operated much differently than they were in the 1800s, the Nevada Mining Association offers numerous workshops and activities to help spark the historical spirit of mining in the area. Of course, to really be part of the excavation action, a trip to one of the plentiful rockhounding sites is a must. 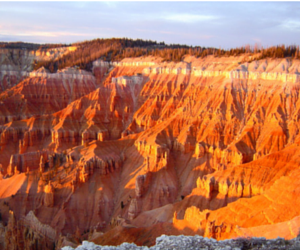 These locales are perfect for the miners and geologists at heart. Dig among Nevada’s natural landscape and discover rocks and minerals, including petrified wood, black shale, brachiopods, jasper and more. 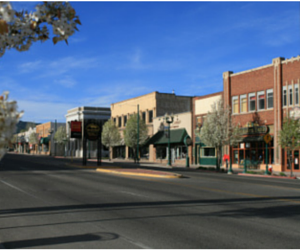 With a number of period-refurbished hotels and locally owned eateries, Elko provides plenty of avenues to get a feel for 19th century Old West lifestyle. 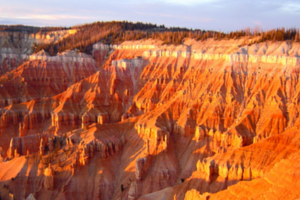 And the easiest way to start a journey back to the Wild West is by booking a convenient flight with SkyWest, operating as Delta Connection, from Salt Lake City International Airport. Remember, the best fares can always be found on delta.com.